Are you a Digital CPA? What does it mean to be a Digital CPA and how do you become one? I think last week’s Digital CPA Conference shed some light on the subject and provided a roadmap of sorts. 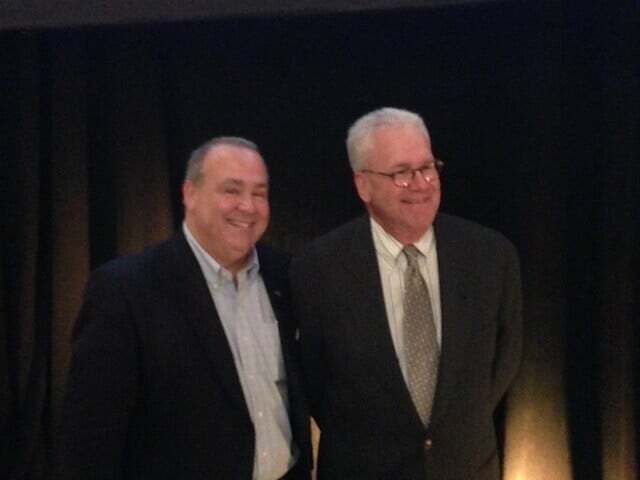 The highlight for me was the keynote (and whitepaper) from Dr. Geoffrey Moore (pictured with me on right) titled, Accounting Services: Harness the Power of the Cloud. So what is a Digital CPA? First, “a CPA who can harness the latest technologies” which means identifying the most significant trends and technologies that might enable enhanced and new services. Develop and organize your change management efforts around the new services and technologies. The third step is the most important and the one for which Dr. Moore provided the greatest insights. He walked us through the technology adoption curve and helped identify the Visionaries, Pragmatists, and Conservatives that we must address both with clients and within our organizations. This is all based on his seminal work, Crossing the Chasm. They even released apps to help you survey your partners (and potential clients) as well as your practice. The key question here for all of you “visionaries” is whether someone in your company (most likely a conservative) can completely block you from going “digital”. I see this in many firms I have worked with. While the whitepaper is focused on Client Accounting Services, the concepts apply to all of accounting services (CFOs take note! ), and for that matter, businesses and associations like MACPA. As promised, here is my presentation that kicked off our panel presentation which will be updated tonight with the results of our poll questions using conferences.io (who graciously set us up to test their new system). And while the opportunities are endless for you Digital CPAs out there, Moore’s comments are still ringing in my ears, “But you have to keep up”. Look for continued coverage of the Digital CPA here at CPA Success, in our townhalls and our Innovation Summit on May 17, 2013 (See 2012 Summit info here). It was great being with many of our MACPA members who attended the conference and kudos to Erik Asgeirsson and his CPA2Biz team for putting on a relevant and extremely useful DigitalCPA Conference. Are We Entering The Age of the Small Firm? Need help getting your partners all on the same page? Or helping them stretch their minds to see the big picture? Call on us to help with your strategic planning needs or to hold a future forum to help them see the bigger trends and issues.